There were Oscars, tuxedos and sequins galore at Simply Italian last week, on Thursday March 3, when the Bling Crosbies hosted their Hollywood party – and what a swell party it was. So Tony McLaughlin donned his penguin suit and joined the “do”. 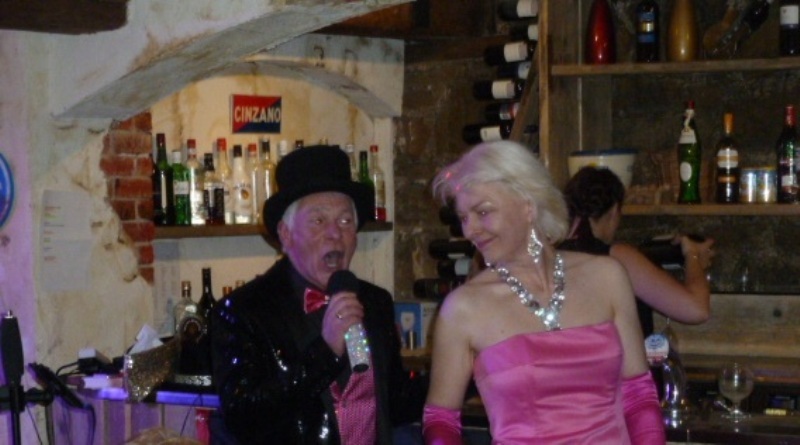 The “Blings” (Alain Du Sel and Ellie Laine) got the crowd singing along from the start. Their repertoire ranges from classic Hollywood film musicals to songs from contemporary artists. “Anything Goes”, “Luck be a lady tonight” and “Its been a hard day’s night” were all performed with panache, and then some. And Cole Porter would surely have approved the witty, and sometimes risque, lyrical changes to reflect the local setting. As well as evoking Fred (Astaire) and Ginger (Rogers)’s dance moves, Alain and Ellie each sang a selection of dramatic yet fun-filled solos. Ellie’s version of “Goldfinger” was a fitting serenade to Alain’s entrance in a knock-out gold lame suit – and her version of ‘Diamonds are a girl’s best friend’ encapsulated Marilyn Monroe at her best. And Alain, who performed a definitive version of “Smoke gets in your eyes”, sang “Falling in love again” in a way that Marlene Dietrich would surely have loved. 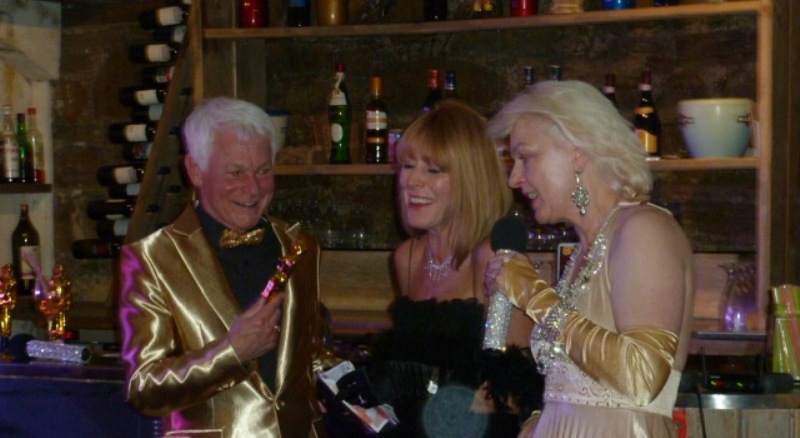 Oscars were awarded to Lyn Venn (best dressed female), Andy Davidson (best looking male) and Karen from the Old Bell (best spangliest, sparkliest dress). There was also a special Oscar for Steven Hague for his work in producing the Bling Crosbies new album. And then it was time for dancing, and how the audience took to the floor with Simply Italian’s Marc proving himself to be Rye’s answer to Gene Kelly. Details of the Blings future concerts, and how to order their CD, can be found on their website and www.facebook.com/blingcrosbies.